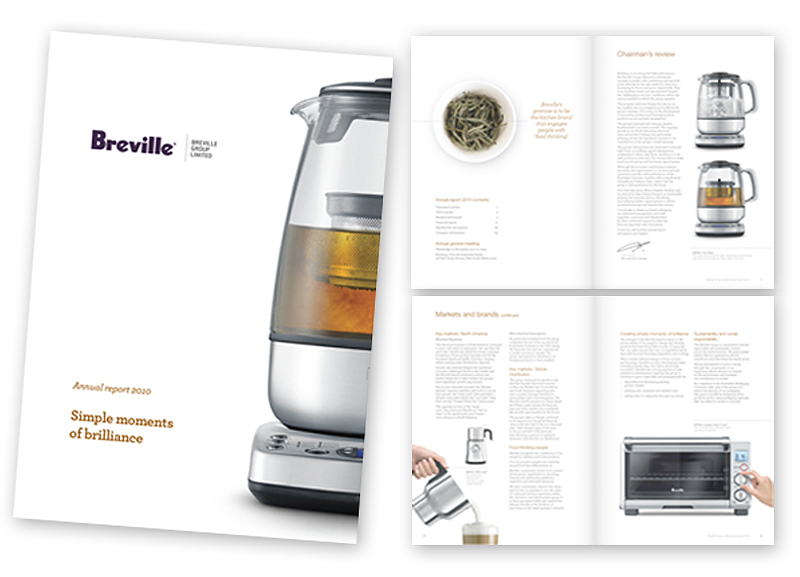 2010 was a busy year for Breville to roll out their new brand based on ‘food thinking’ and products with a ‘simple moment of brilliance’. We contributed with design of their Annual Report and 3 make-overs of their showroom for buyer’s presentations and a video shoot. In 2011 we will be working on a complete re-working of the showroom – stay tuned! By: peteFiled under Environmental, Print. Bookmark the permalink.